recruitment of volunteers from around the world to work on diverse projects. Worldwide Experience was established in 2002, and have since assisted over 5000 travelers in joining the ethical conservation revolution!. realise that many of our travellers are travelling abroad for their very first time, and we endeavour to make the lead up to your trip easy and enjoyable. Our expert team will assist and advise you every step of the way! Worldwide Experience guarantees to give you the best possible service and support, both before you travel and while on your trip. Our dedicated team members, both in the UK and overseas, work together to ensure your placement will be thoroughly memorable as well as being hassle-free. The majority of our placements run all year round, which allows for flexibility on start dates. Without set departure dates at all our projects, we are sure to find a placement that will fit in around your schedule. extremely competitive air-fares. Our travel insurance team will arrange the right travel insurance package for your peace of mind. You have easy access to an online travel store, as well as guidance for fundraising towards your Worldwide Experience! All our placements require no previous knowledge or qualifications. All you need is a passion for the type of placement you have chosen. Because we understand that not everyone wants to see just one place, we also offer the chance to combine our projects, to help enhance your overall experience. Your safety, both financial and physical, is our top priority. Financial protection: Worldwide Experience are fully bonded, meaning that you have financial protection when you book your travel experience with us. If you are buying an experience package from us that includes air travel, the booking is authorised under ATOL number 4795 and is protected under the ATOL scheme. Adams Travel (UK) Ltd. ABTA protection does not extend to non-member sites; we are not responsible for the content of external sites linked to/from our website. ABTA members’ sites will include the ABTA logo within their webpages. On our website, these are displayed right at the top. Our experiences are carefully selected, developed and vetted to ensure the highest standards of health and safety are in place, and all experiences are risk assessed. All our placements have been developed to ensure maximum security and safety for all of our volunteers. We provide purpose-built accommodation and our vehicles are fully licensed and insured. Our Worldwide Experiences are led by experts in their field, meaning that you gain invaluable insight and deeper knowledge from your experience. 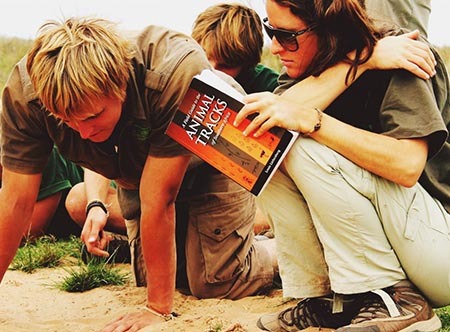 Plus, when dealing with a Worldwide Experience team member in our offices, you are dealing with a conservationist – all our team members have conservation related qualifications and experience in the field, so we can answer your questions and provide advice from a first-hand perspective. Worldwide Experience supports responsible travel. 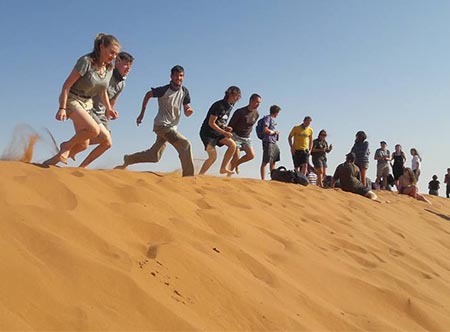 All of our programmes have been set up with the needs and requirements of each location in mind. This ensures that you get the best experience, whilst actually making a REAL IMPACT at the project of your choice. All Worldwide Experiences are ethical. We do not support any form of practice that is unfair to animals, and local communities. The welfare of animals is important to us, and we do NOT support facilities who have questionable animal welfare practices. We especially do not support facilities that have been linked with the canned lion hunting industry – none of our experiences involve captive lion breeding. We believe in supporting local business. Our volunteers will never be asked to do tasks that could mean taking away jobs from local community members; rather, we work with the community towards their upskilling. Worldwide Experience and our extended community at our various destinations strive toward minimizing impact on the environment. This achieved in various ways, like making use of existing footprints when building, using eco-friendly building methods where possible, recycling waste and gray water, and implementing local environmental awareness initiatives in the communities. We also support an initiative to offset your carbon footprint from long distance travel. Travel footprints are often dominated by car use but just one long flight could cause air travel to be the largest part of your footprint. To give you an idea of the carbon footprint generated by our volunteers’ air travel, we have calculated that each volunteer would need to plant at least 6 trees to offset the carbon footprint generated from one trip. (This based on a return international flight between London and Johannesburg, South Africa). Worldwide Experience pledges to plant a tree for every volunteer that travels with us every year. Our volunteers can also pledge to plant trees, or you are able to make a donation to our tree-planting charity partner, GreenPop, and join the Treevolution! Join our community of Worldwide Impacters! 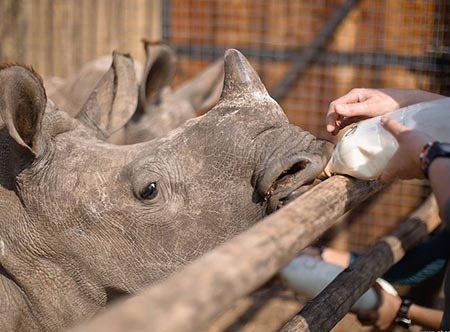 Worldwide Experience is more than just our staff – we are a worldwide community of like minded people who are passionate about conservation and making a real impact! You can sign up to our newsletter to get all the latest news plus exclusive offers, and if you have traveled with us, you are invited to join our community of real impacters as an alumni member or conservation ambassador! Join the ethical conservation revolution, and help us make a real impact! Join the ethical conservation revolution! 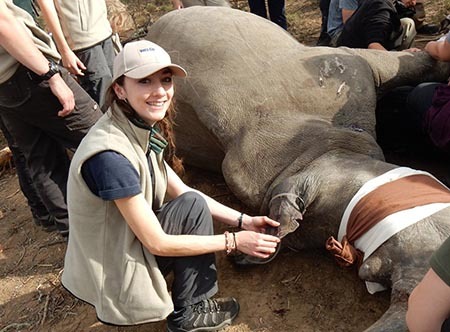 Calling all vet, vet nurse and pre-vet students to become immersed in the world of wildlife veterinary medicine and conservation.